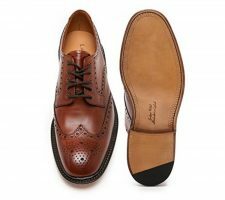 Church's Shoes Review - MR ELLIS ! Church’s shoes have been around for centuries. Based in Northampton, a town famed for leather and shoemaking since the times of Cromwell. In 1873, Thomas Church, along with his wife Eliza and sons Alfred and William, decided to open a small factory making shoes. These humble beginnings housed the Church brand until 1880 when they were able to open larger premises on Duke Street. The majority of the work was done by individual workers in their own homes, but eventually all the making was brought in-house. William introduced the innovative concept of right and left shoes in the “Adaptable” style, which was available in a huge variety of sizes and widths, as well as half sizes, which hadn’t existed before. 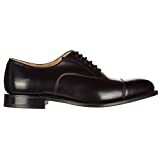 At the end of the 1890s, Church’s looked further afield and expanded their shoe sales to South Africa, Belgium, France, Italy, Germany and the Austro-Hungarian empire. In 1892 Thomas Church retired and passed the business down to his youngest son, Thomas Dudley. Thomas Jr helped to extend the brand’s casual and sporty range, echoing the desires of their clients. Around 1907, the first orders of shoes were being shipped to America and Canada, spreading the love for British shoes throughout the New World. When King George and Queen Mary visited Northampton in 1913, Church’s made a special pair of shoes which were presented to the royal princess. Further cementing their reputation as one of the most important shoemakers in the industry, Church’s became a founding member of the British Shoe and Allied Trades Research Association, which is now known as SATRA. In 1921, Church’s cracked the London scene, opening a boutique and introducing its first ladies’ shoe. This was in an “archmoulded” style; that is, moulded to the arch of the foot. In 1929 Church’s spread its influence even further, opening a shop in New York where the brand enjoyed resounding success. During the war, Church’s patriotic contribution included making shoes for the armed forces, and after the war the company survived all the post-conflict economic upheaval where many went under. In 1957, still going stronger than ever, a new factory was opened in St James’ Road, while new branches continued to spread across the world to North America, Italy, Japan and Hong Kong. 1999 marked a significant change for Church’s, when it was acquired by Prada. 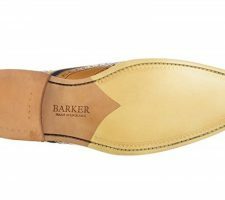 This new partnership allowed Church’s a far more marketing-oriented approach to its shoe selling, while keeping the traditional English identity and dedication to craftsmanship. To this day Church’s is a well known and well loved shoe brand – and it’s not just for men! In 2011 a shop dedicated entirely to women’s footwear in New Bond Street in London. So now that you know all about the history of Church’s, let’s have a look at a few of their most exciting shoes. These are just what they say they are – classic lace up shoes in the Oxford style. They are fantastically classy, and will make a real statement with whatever you are wearing. They suit formal occasions the best, as they are truly smart shoes, but you can wear them for a serious day in the office without looking out of place. They are made from the highest quality leather, and feature fantastic workmanship. A fantastic pair of loafers with everything you love about this slip on style of shoe! They are supremely easy to wear, and there is no fiddling about with laces – just slide them on and you’re ready to go. These loafers have just enough detail to make them interesting, without too much making them showy or ostentatious. 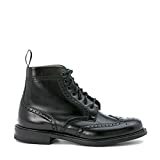 Church's Boots in Black Leather, Mens, Size: 7. This is a beautiful pair of ankle boots – quirky and highly attractive! They are well made and will protect your ankles from turning, and 7 eyelets mean that they are highly adjustable for your comfort. The detailing on these boots is eyecatching and will make you stand out from the crowd. This classic lace up shoe is a stylish shoe made from brushed calf leather with cowhide lining. They have double stitching along the toe and upper for a decorative touch, and they are made using the famous Goodyear method that joins welt, sole and upper to ensure greater durability and comfort. Suitable for any smart occasion, these shoes will add style to your outfit. 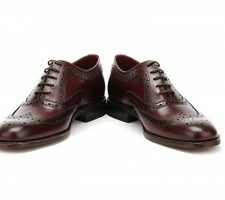 100% leather lace up shoes, in a sophisticated style that will add class to the rest of your attire. They are hardwearing and durable, and extremely smart! If you are looking for the perfect pair of shoes to wear to the office, a wedding or other formal occasion then you may have just found them. Church’s is a brand that has been well known and well loved for centuries. They use high quality materials and expert craftsmanship to create beautiful handmade shoes to suit any occasion. 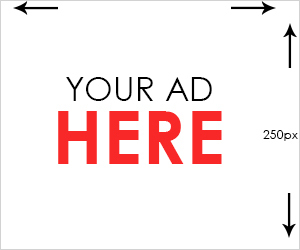 Will you join the hundreds of thousands of satisfied customers?